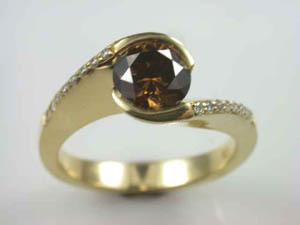 Ladies 18ct Yellow Gold Cognac Diamond Dress Ring. Pearls Earrings Ladies 18ct Yellow Gold 9mm White South Sea Pearl Stud Earrings. Ladies 18ct Yellow Gold 9mm White South Sea Pearl Stud Earrings.